More and more women prefer a vest or gilet than a night dress that only has one classic form. 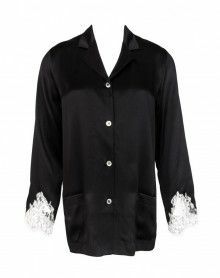 Big brands of lingerie therefore offer for the season of fall and winter warm and light vests in fleece. They also offer soft and light gilet for interior wearing. Vests & jackets There are 3 products. 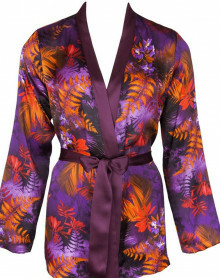 The Lise Charmel pajama jacket from the Forêt Lumière collection is elegant. Sizes 38 to 46.